Roudup and Voting 2nd mediterranean cooking event – Spain » These, Majorca, Salsa, Jerez, Champignones, Insel » tobias cooks! The 2nd Mediterranean cooking event has come to and end and we have to determine who will win this months price. This months topic was SPAIN. Please take a moment, have a look at the nominees and vote your favourite dish. A little hint for the participants: As I have learned form the last event, that was won by Rosa: It helps a lot to post a litle “call to action” on your blog in order to ask your readers to vote for you. The first entry made by Joumana from Taste of Beirut. She cooked for us Tortas de Aceite, a dish form Andalusia. These sweet olive oil crackers are a great combination of tastes including cinnamon and sesame. Island girl from “Neues von der Insel” prepared Champignones en Salsa verde al Jerez for us. 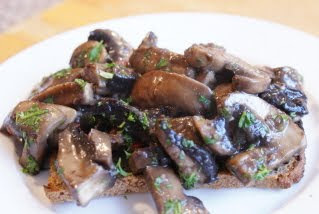 Lovely Tapas wirh mushroom, garlic, parsley and chili. A very Christmas like dish form Majorca was posted by Soul Storm “Seelensturm”. 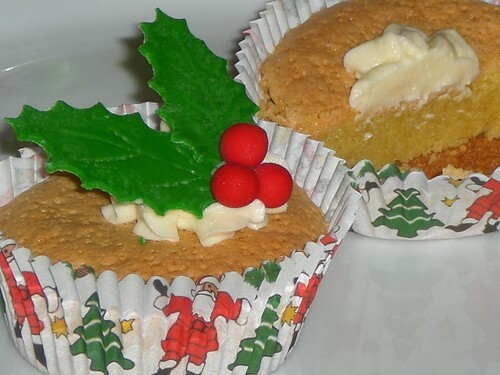 These Majorca Cup cakes use almonds as well as almond oil, which makes them even more tasty. Vote your favourite Moroccan dish. You have 3 votes to give! I am so excited you picked Lebanon for the next round-up! Does that disqualify me? just kidding! I just voted. Everything looks good. Log in | 77 queries. 0.563 seconds.